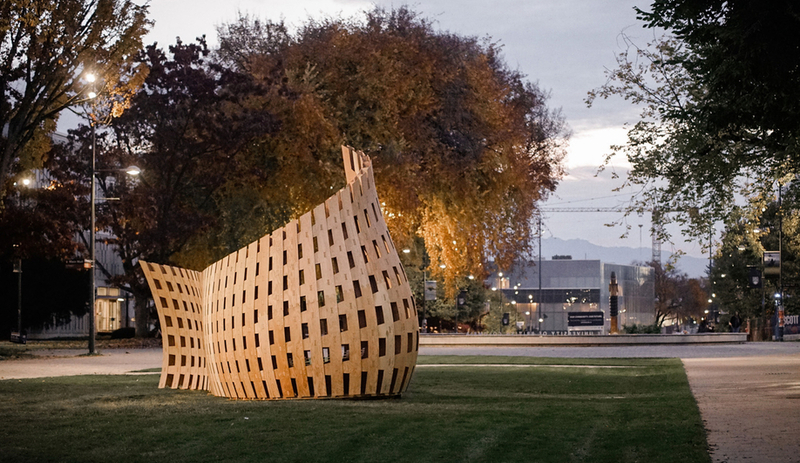 Summer might be the season for temporary architecture. 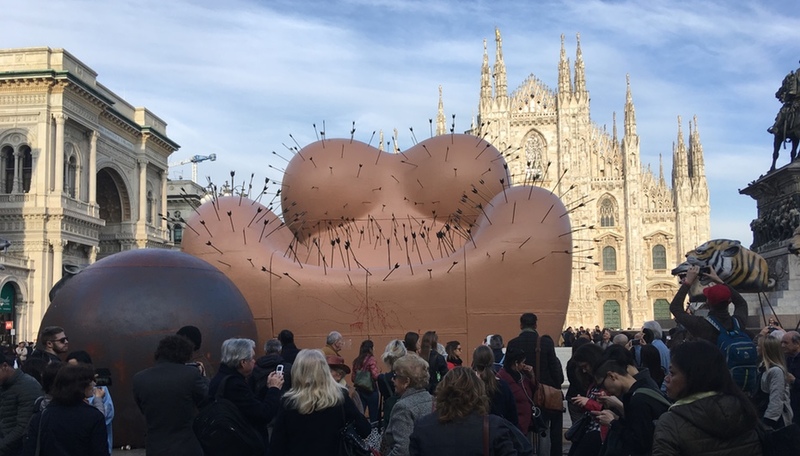 But these recently unveiled structures, both permanent and temporary, show how inventive micro-architecture is pushing boundaries. 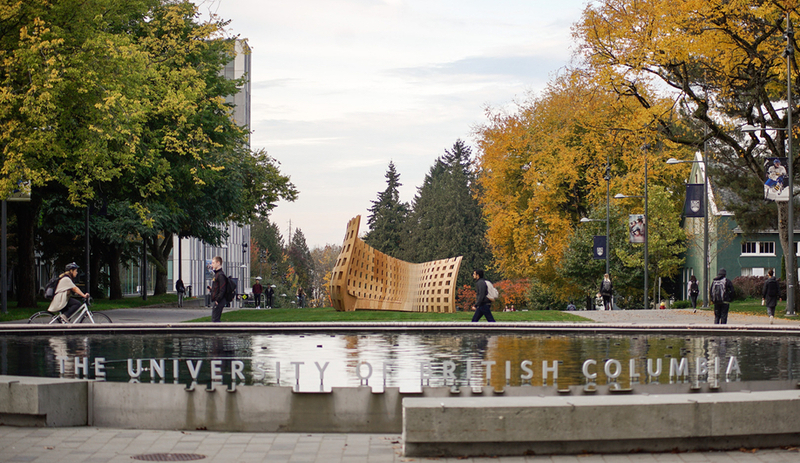 Made and assembled over three days, the University of British Columbia‘s Wander Wood pavilion is all about proximity: material sourcing and production all centred around Vancouver. 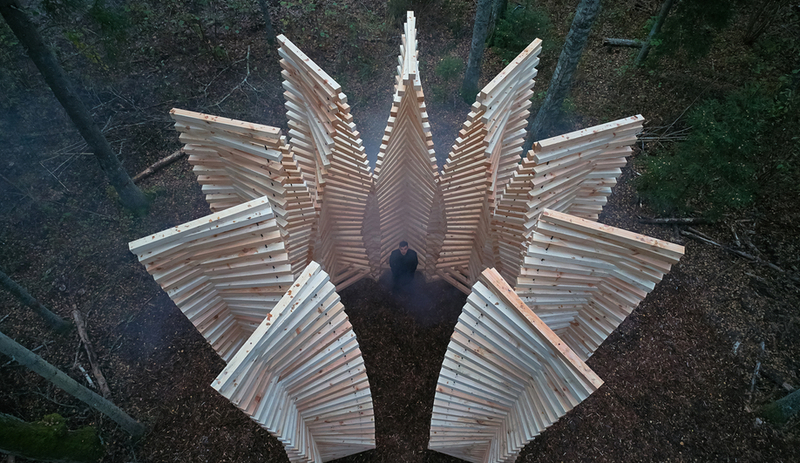 The temporary pavilion, slated to be up for a year, is the manifestation of Robot Made: Large-Scale Robotic Timber Fabrication in Architecture, a workshop at the university’s School of Architecture + Landscape Architecture hosted in October. 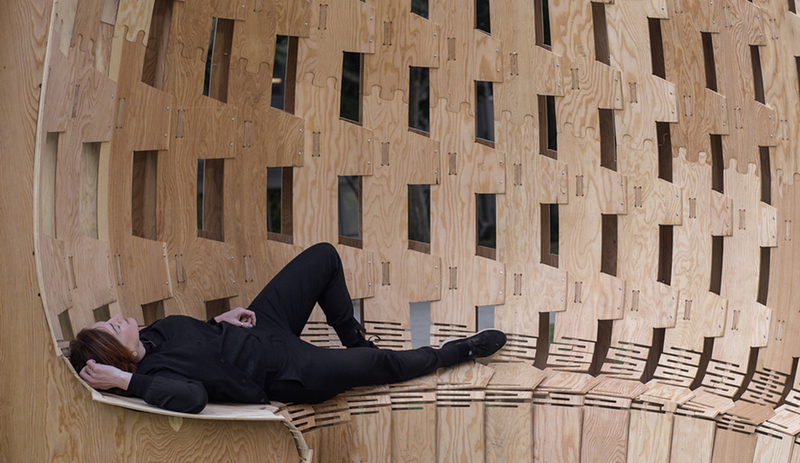 Made using parametric design, time-tested structural principles for wood construction and robotic CNC milling, the pavilion is an example of how designers are stretching, bending and testing the limits of wood, which we expect to be a major trend in 2019. 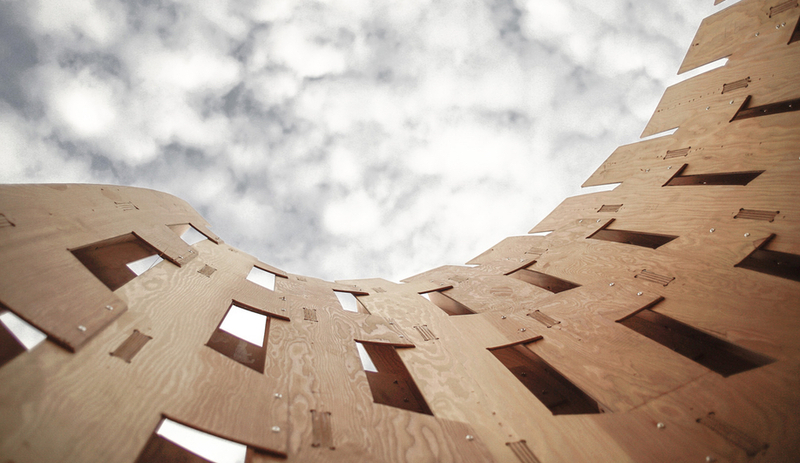 Wander Wood’s gently curving, latticed exterior also has environmental capabilities, say its makers: along with being a “high-performance structure of unprecedented formal complexity,” the wood itself is a renewable resource that stores carbon. Beyond its striking form, the pavilion also provides space for students to linger, sit or even snooze. 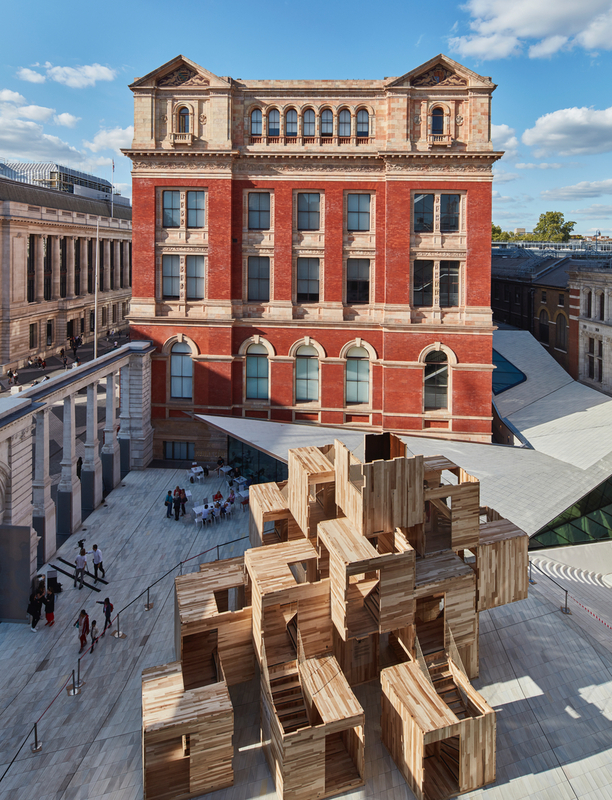 Though Wander Wood is temporary, it shows how quickly assembled, sustainable architecture can deliver intrigue to the public realm. 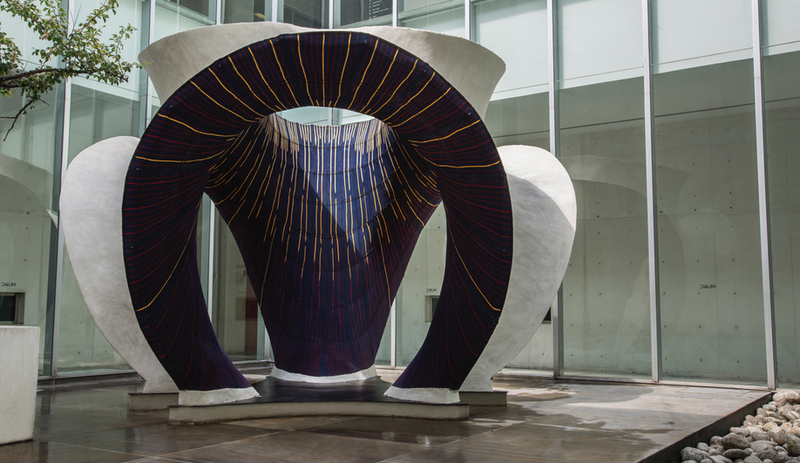 On view until March 3, Knitcandela is part of Zaha Hadid Architects’ first exhibition in Latin America. 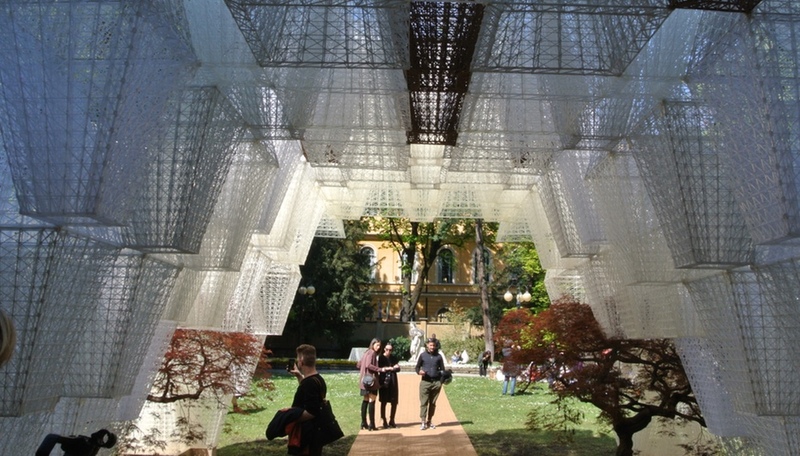 Part organic, part synthetic, the pavilion was shipped from Switzerland to Mexico City in a suitcase and constructed at the city’s art and design school, Museo Universitario Arte Contemporáneo. 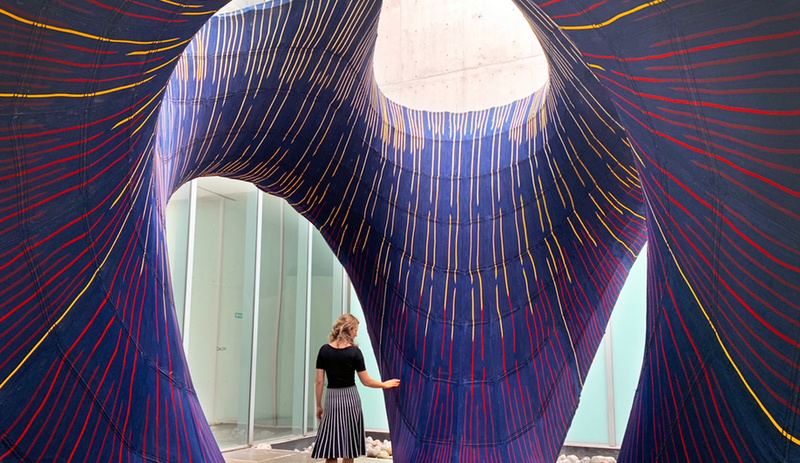 The sinuous concrete shell was constructed using a fabric formwork system – the kind that, Azure executive editor Elizabeth Pagliacolo recently wrote, is transforming concrete construction. The formwork was made from an ultra-light, double-layered polyester yarn which, stretched out over 50 square metres, weighs only 55 kilograms. This is what allowed it to be carried by suitcase. 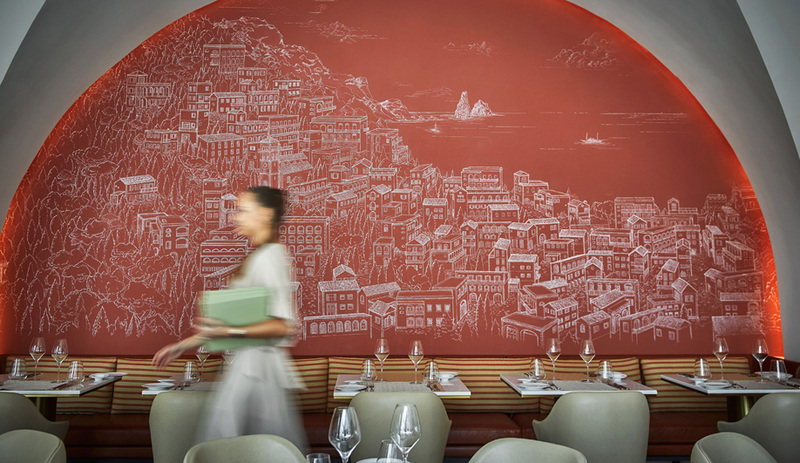 Employing KnitCrete technology developed at ETH Zurich by Block Research Group (BRG), the formwork was inflated using 1,000 modelling balloons, then cast with a thin concrete shell. The colourful textile shell is visible on the structure’s interior, and, in fact, was inspired by the vibrant fashions and sarapes of Jalisco, Mexico. 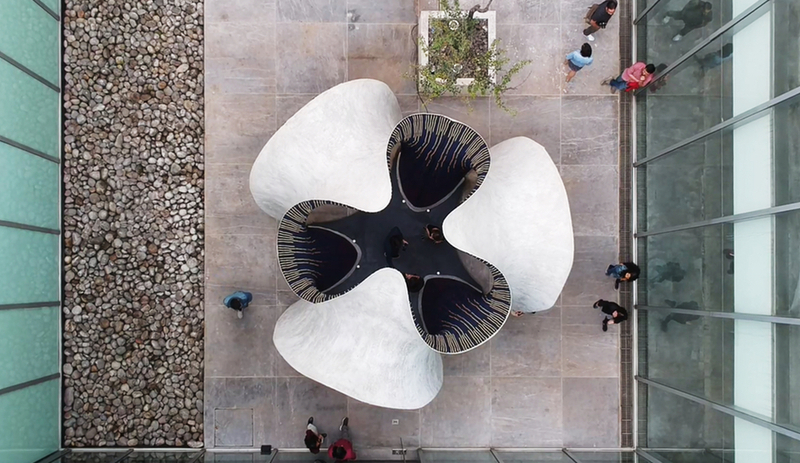 In total, the KnitCandela pavilion – a collaboration among BRG, ZHCODE (Zaha Hadid Architects’s Computation and Design Group) and Architecture Extrapolated (R-Ex) – was knit in a mere 36 hours, using five tonnes of concrete. Conceived as both an architectural and a landscape project, Latvia’s UGUNS invites visitors to revel in nature. Completed in Numernes Valnis park in October, the gently twisting pavilion, designed by Didzis Jaunzems Arhitektūra, is meant to evoke a campfire. “The arrangement of the seats inside the pavilion is taken from the principle of the campfire, where sitting in a circle unifies people,” say its designers. At its core, UGUNS is comprised of seven stacks of wooden towers, comprised of beams that rotate 2.4 degrees as they rise. 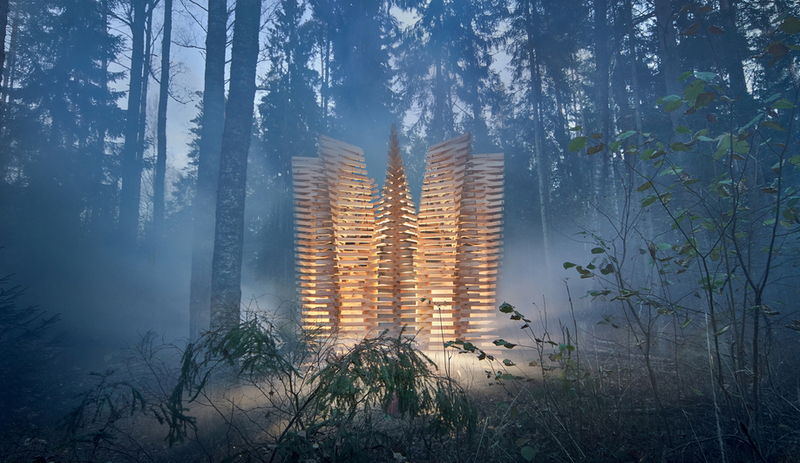 This results in undulating stacks of wood, reminiscent of a flickering flame. As eye-catching as this simple installation is, it’s also meant to draw attention to its wooded surroundings – its goal is to bring people into nature, nurturing a sense of respect. 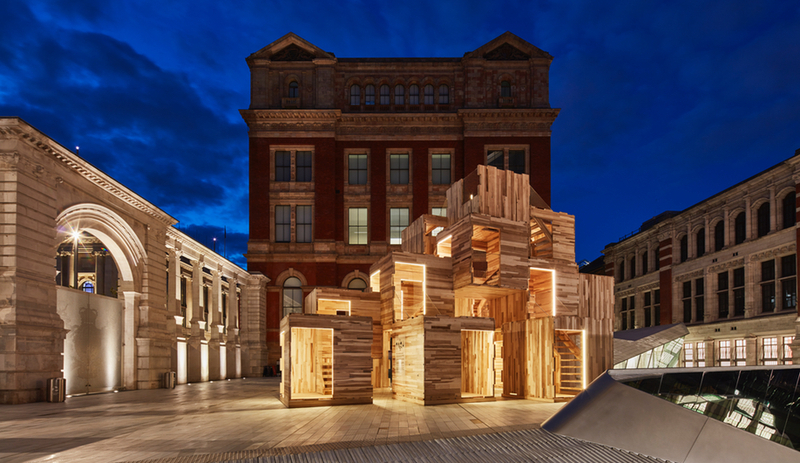 Like Wander Wood and UGUNS, the cheekily named Multiply, unveiled by Waugh Thistleton Architects at September’s London Design Festival, explores the boundaries of timber construction – which is itself a trending topic. 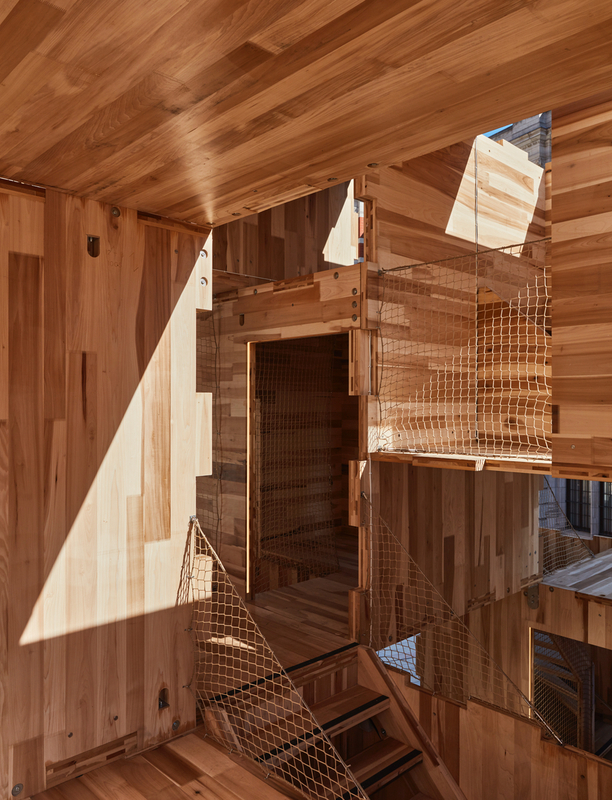 Made using cross-laminated timber panels made from Tulipwood, the maze-like pavilion rises three stories, incorporating 17 cube-like rooms. In total, Multiply, made in partnership with the American Hardwood Export Council and Arup, uses 102 CLT panels. 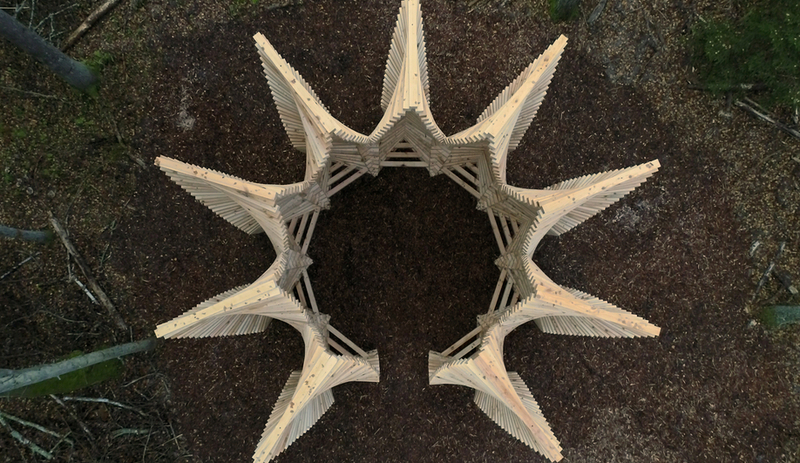 The modular stack arrived flat-packed, then was assembled in less than a week using digitally fabricated joints. Together, these stacked boxes form corridors, alleyways, outdoor spaces and cantilevered rooms. The project is meant to articulate two things: first, prefab CLT structures can provide an affordable, rapidly assembled housing solution. 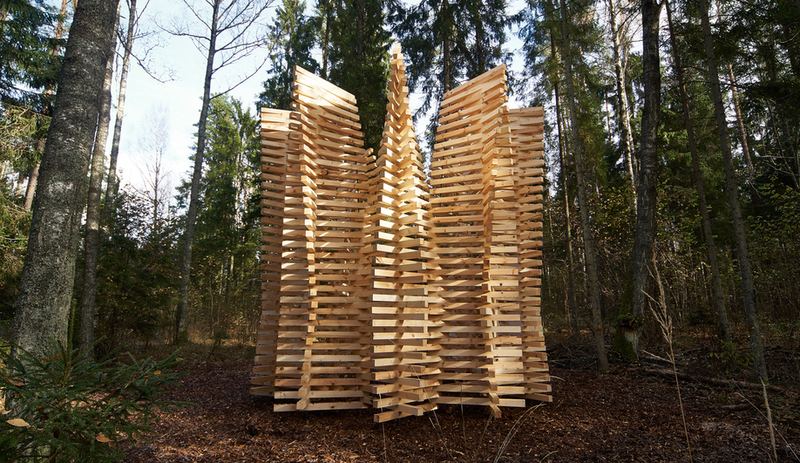 Secondly, this type of construction is sustainable – along with being a carbon store, the Tulipwood regenerates quickly: five minutes for the 320 cubic metres of wood used in Multiply, according to the firm, which also hopes that in the aftermath of LDF the modules will one day be reassembled into an actual home. 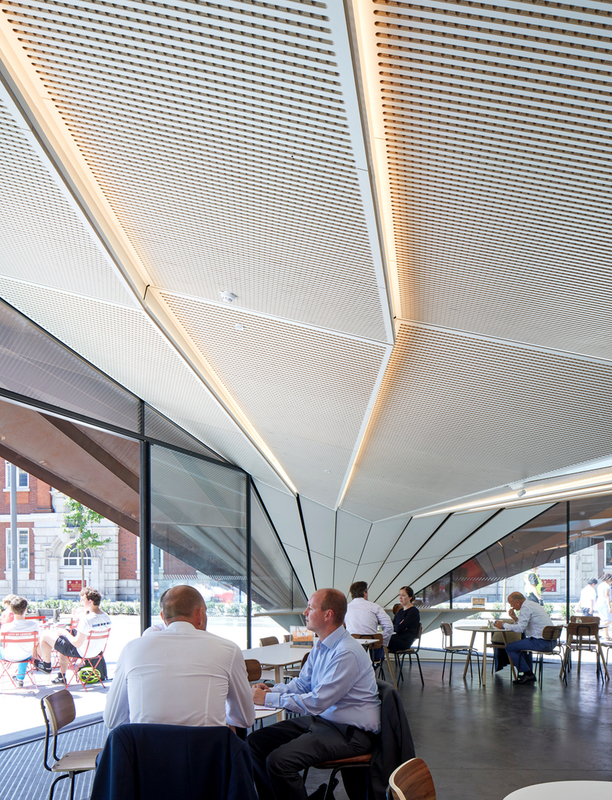 When Make Architects was selected to build a permanent pavilion in London’s Aldgate Square, to serve both as a visitor centre for the adjacent St. Paul’s Cathedral and as a multi-purpose space run by social enterprise Kahaila, the firm wanted it to be sensitive to its surroundings. Its Portsoken Pavilion is a monocoque structure whose skin will change colour over time – just like the heritage buildings that surround it. 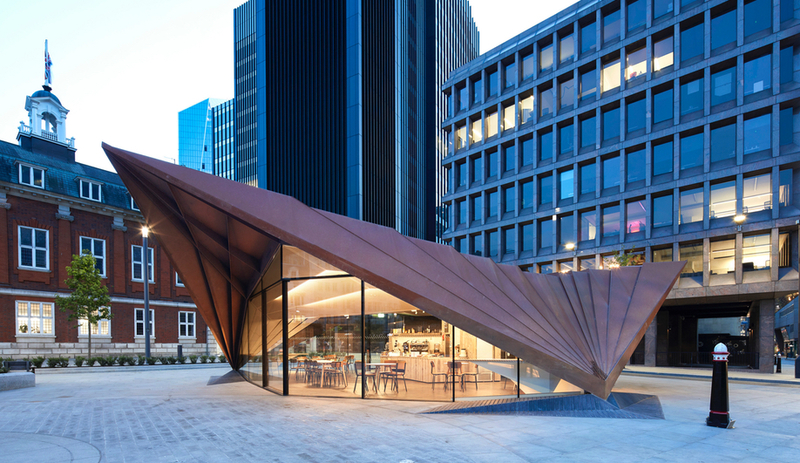 With a compact, 250 square-metre footprint anchored by three support joints, the pavilion borrows its asymmetrical form from a nearby City of London information centre. 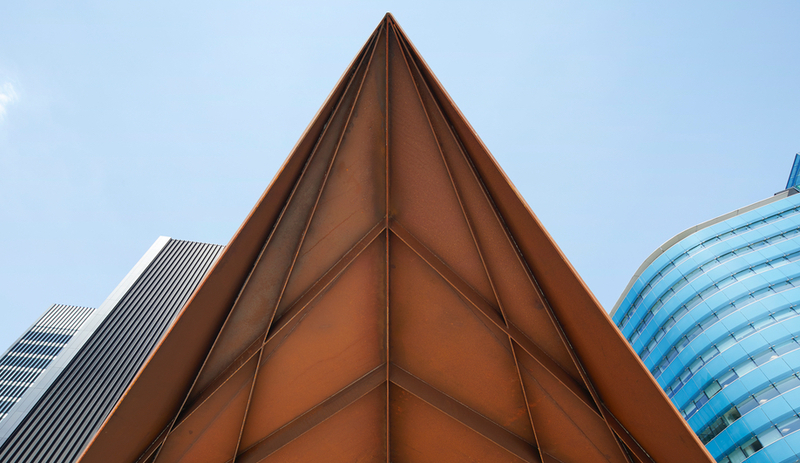 The asymmetrical roof is clad in Corten, a material that will oxidize over time while withstanding corrosion. Three glazed elevations provide sweeping views of the surrounding areas, each with walls that open onto the adjacent public spaces. Though the building is a single storey, it features below-grade service areas with public toilets.